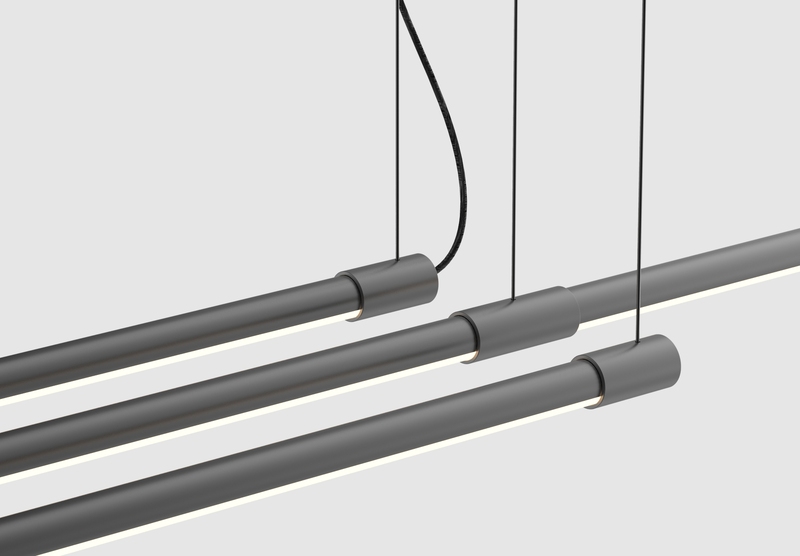 The THIN Suspension light is simple, utilitarian LED ceiling light. 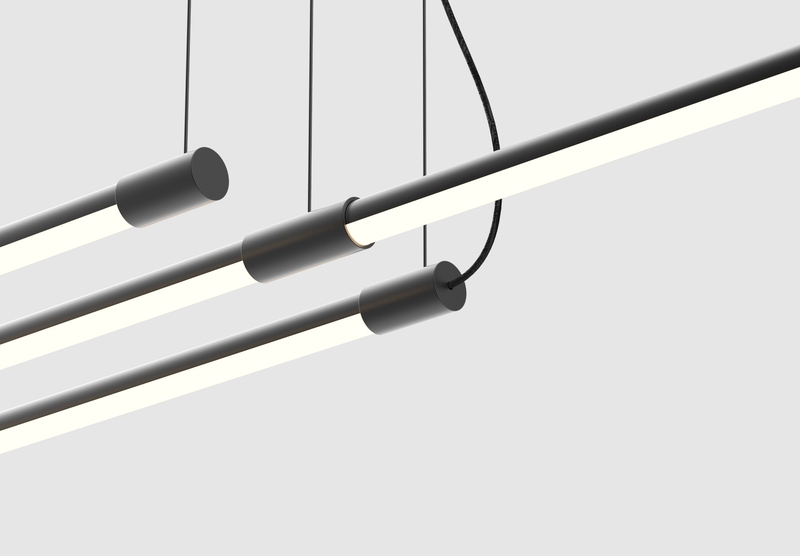 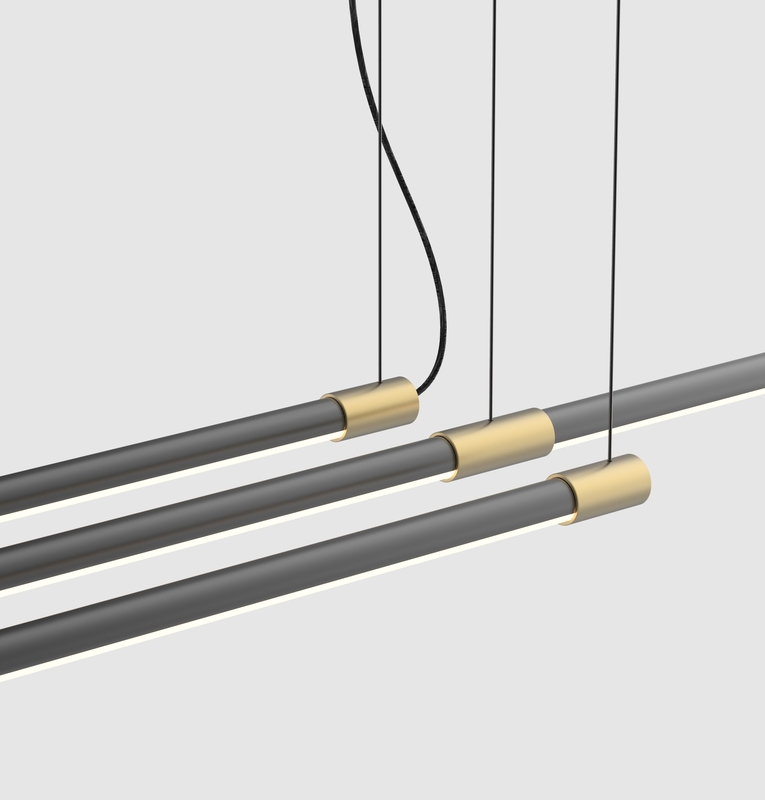 It allows multiple LED tubes to be chained together to create long, elegant beams of light. 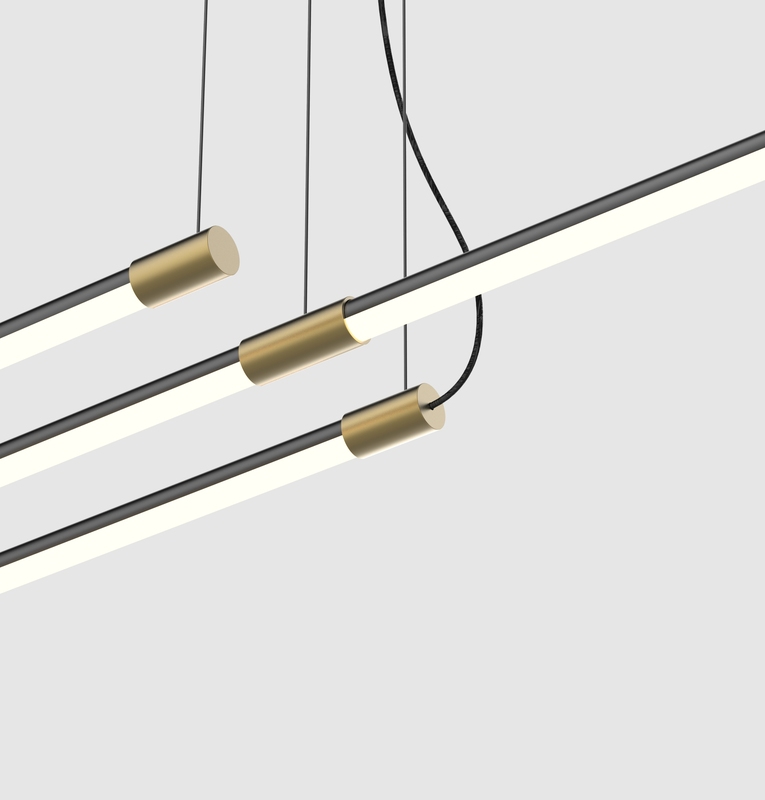 The brass construction and honest finishes give the fixture a strong presence in spite of its minimal profile.